Here is a link to the video sermonette: Mark 14-16: Jesus’ Priorities & Betrayal, the Resurrection, Signs, and Reaching the World. Should Mark 16:9-20 be part of the Bible? There are many who say no. 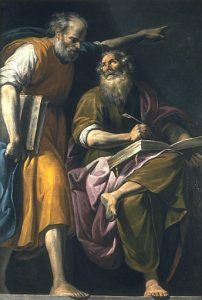 Is the biblical and historical evidence for or against? Here is a link to the video sermonette: Mark 14-16: Jesus’ Priorities & Betrayal, the Resurrection, Signs, and Reaching the World. This entry was posted on Sunday, August 6th, 2017 at 12:01 am	and is filed under Church History, COG News, Doctrine.